Improvement of cross border road infrastructure in the Programme area is defined as the project of strategic relevance and importance for both Member States and the Programme, and it will contribute to the socio – economic development of the whole Programme area. The aim of the project is to connect regional towns and to facilitate the labour mobility in the border areas. The project will be implemented under Programme priority II “Support to labour mobility and employment”, specific objective 2.2 “To increase job opportunities by improving mobility and workforce skills”. Direct award procedure is applied to the project of strategic relevance. It means that no open calls will be organised for project improving the cross border road infrastructure, as it is set up by mutual agreement between Latvia and Lithuania. In result of the project activities, improvement of cross border road infrastructure on three cross border road sections in Latvia and Lithuania will be done. 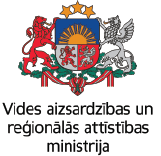 Managing Authority of the Programme on 11th of April has sent an Invitation letter on submission of Interreg V-A Latvia–Lithuania Programme 2014–2020 direct award project to relevant partner organizations (Ministry of Transport of the Republic of Latvia and State budgetary institution “Lithuanian Road Administration under the Ministry of Transport and Communications”), indicating that Project Application for direct award project shall be submitted till June 8, 2017 at 12:00 (noon). After submission of Application, Programme authorities will implement project assessment and in case of project approval Subsidy Contract will be concluded based on which project implementation could start. More information on direct award project is available here. 0–5.1 km; length 5.1 km. LT side: Road classification code: 3647 Pandėlys–Suvainiškis–Latvian border; 13.3–18.3 km; length 5 km. 0–14 km; length 14.00 km. LT side: Road classification code: 163 Mažeikiai–Latvian border; 0.0–9.19 km; length 9.19 km.